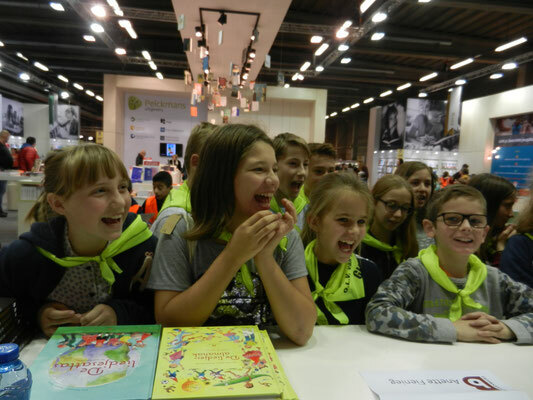 I missed an episode of Monday hero for the first time! 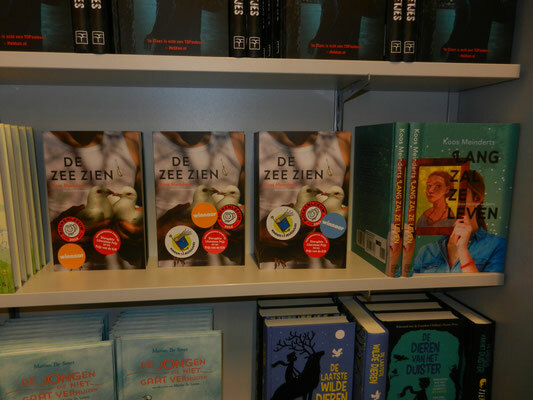 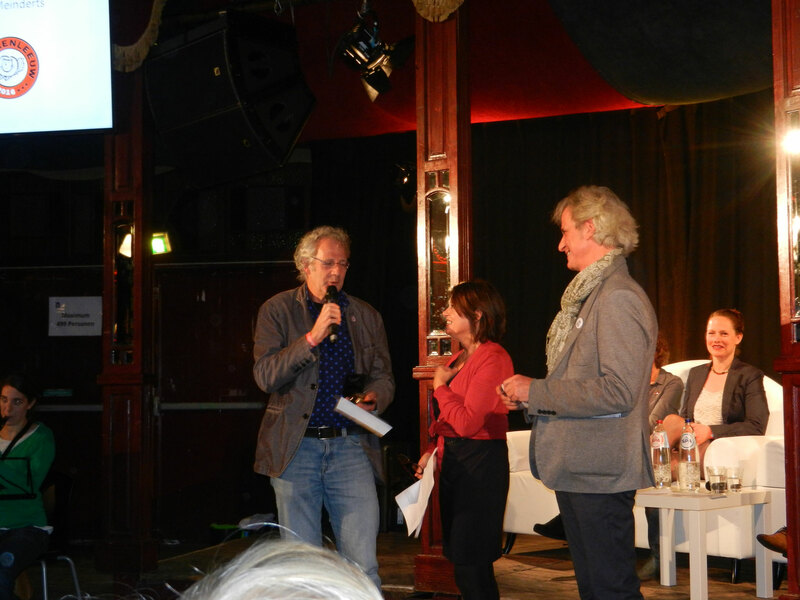 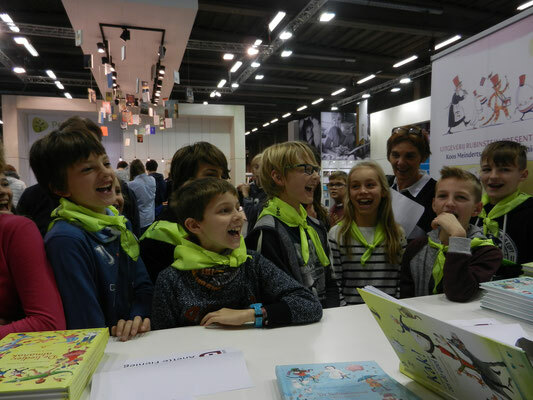 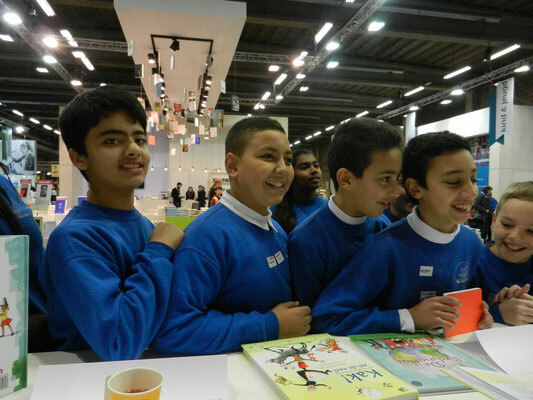 That's because we were in Antwerp, Belgium, at the Bookfair where Koos (Meinderts) received the Boekenleeuw for best children's book for his book De zee zien (or: Seeing the sea) ! 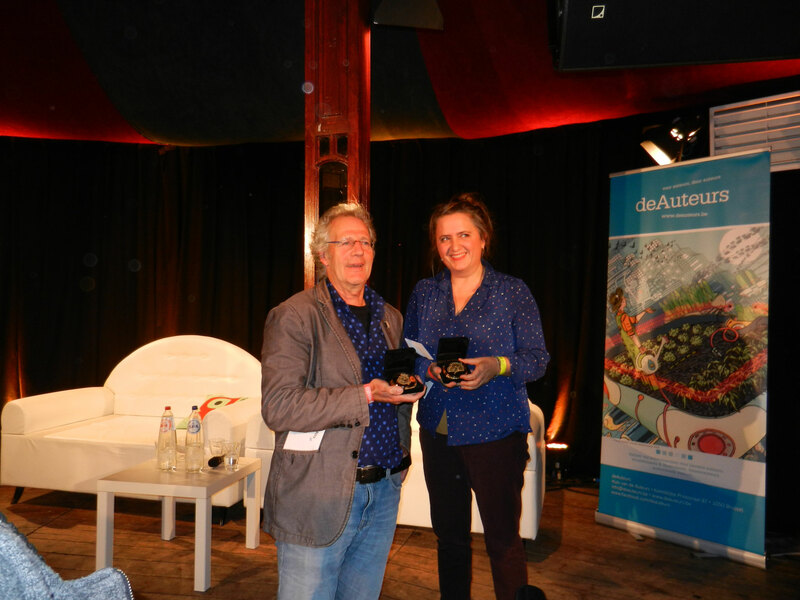 Kitty Crowther won the Boekenpauw for best illustrations for her book Mama Medusa. On tuesday Koos and I read to visiting schoolchildren at the Antwerp Bookfair. It was great fun!